On Facebook, average Facebook user like hundreds of pages. But they use or see posts from very few pages. If you want to see feeds of all pages you are connected, you can see it from Page feed page. But what if you want to manage all pages you like and unlike pages which are inactive. It seems there is not an easy way on Facebook. But you do this with manageyourlikes.com. It is a nice web application that lets you manage all your page likes at one place. Manageyourlikes.com lets you see all pages you like at one place. You can also search pages by type and keyword. It also displays the last activity of pages and lets you unlike the page. In the statistics page, it displays pages by popularity of “likes” and “talking about this”. 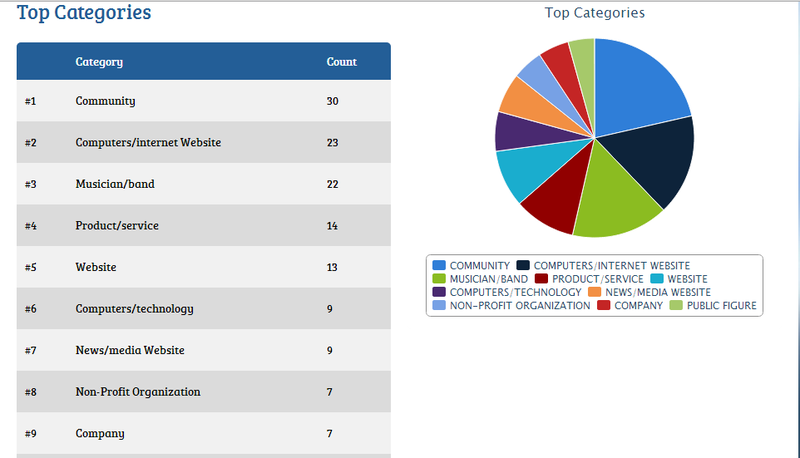 At the bottom of statistics page, it display the pie chart to display the page count by category. On the basis of your interest and page activities, it also recommend you the pages you should like and the pages you should unlike. It is really a nice application to manage and clean your Facebook page likes. I am sure you will find it interesting. Use this and share your views with us via comments.